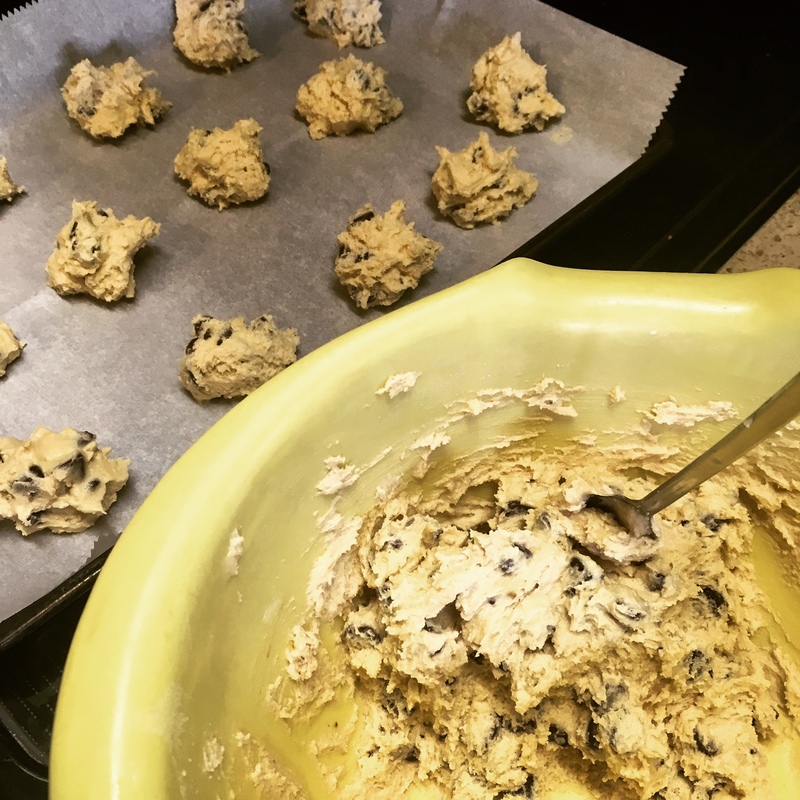 There’s something about making cookies from scratch that is soothing, perhaps because it was a Sunday tradition for me growing up. No processed dough logs or powder in a bag — this involves brown sugar, beaters and softened butter. Also, the dough tastes damn good. Sometimes the dough is better than the cookies. I’ve eaten cookie dough ice cream, but never even heard of cookie ice cream.